New Delhi, October, 2014: Clothes are washed to do away with stains or marks that ruin its look. But what if after washing your favorite and expensive cloth, you find a stain of peg on it or the stubborn clip mark that doesn’t go even after ironing? It leads to irritation and you could do nothing but curse your pegs. It happens many a times that you are getting ready for office or for any function and you get to see a peg mark on it. Despite deep ironing, these marks don’t go, completely destroying the look of the cloth piece. Metal rust on clothes are far more troublesome and if the cloth is light colored, then the stain is more than prominent. This is a common problem that woman face in every house holds. Without pegs, drying a cloth is not possible, but they come with their own set of issues. Bonita, the leading home utility products maker in India, has got the solution to the problem with its new range of clothes high-quality plastic clips. These ergonomically designed, superior quality clips come with extra holding surface. They have soft grip, so they don’t even leave any peg marks, much to your relief. 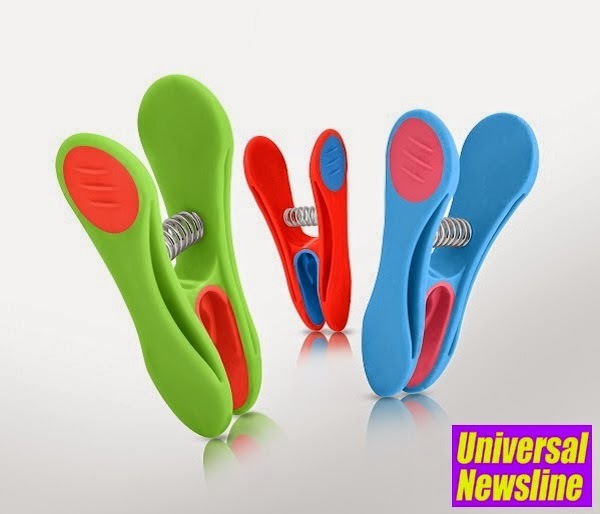 “The product aims to help you dry your clothes without any stains or marks that occur because of clothes clips. It was an issue every woman was facing while drying clothes. It looks a very minor problem involving pegs. But when clothes get ruined this issue becomes big. So we thought to find a solution for it and then we came up with the clip range that could keep your clothes free of stains and marks,” says Vineeta Mittal, Brand Director, Bonita. There are two different options available to choose from, with variations in the size of the clips. Each range comes in a set of eight clips available in bright, eye catchy colors. Bloom Soft Grip Clothes Clips come in a size of 2*7*3cms for Rs. 225, while Flora Clothes Clips come in a size of 1*4*8cms for Rs. 175. Depending upon your clothes’ requirements, buy the range that you find best and bid riddance to the damage that regular clips do to your beautiful clothes. Bonita comes from the house of Casa Brands India Pvt. Ltd. Bonita means beautiful in Spanish. The brand was envisioned to help Indian consumers experience convenience and comfort in their household work. 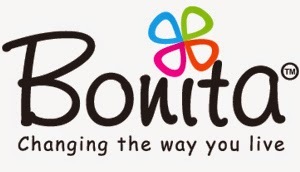 Apart from being attractive, the most important aspect of Bonita products is their unsurpassable quality. Bonita’s talented team takes utmost care to ensure that only the best quality products reach you. This attribute comes from their parent company which is preferred partner for all major American and European brands of these products. All products are manufactured under strict quality control guidelines by using excellent quality raw material and state-of-the-art machinery like German Automatic Powder Coating machines, Robotic Welding and other automated machinery.